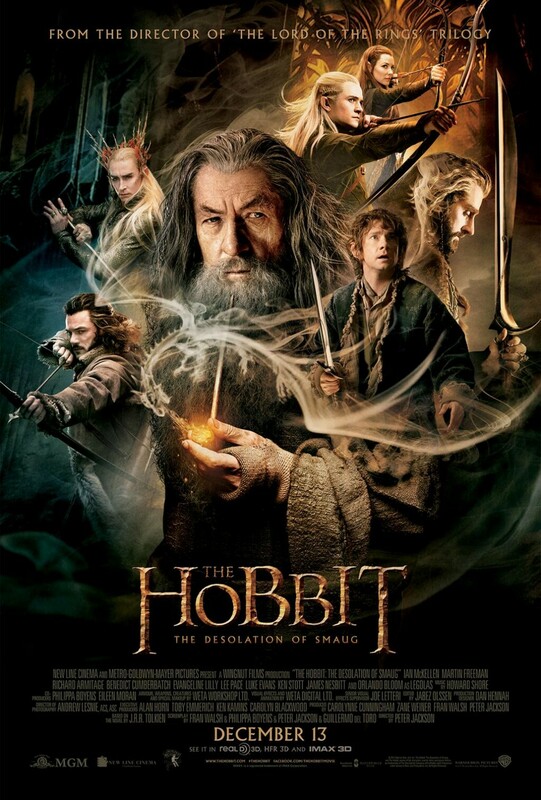 “The Hobbit The Desolation of Smaug” is the second film of Peter Jackson’s three part trilogy based on J.R.R. Tolkien’s novel, The Hobbit. The story continues from where the last film left off, right after Bilbo and the Dwarves escaped from Orcs. From there, Bilbo, Thorin, and the rest of the Dwarves heads toward the Lonely Mountain while being pursued by Azog and his Orc. To reach the Lonely Mountains, the groups heads through Mirkwood. While traveling through Mirkwood, the group gets lost, is attacked by giant spiders and captured by Wood Elves. Eventually, the group reaches the Lonely Mountain and finds the secret entrance to search for the Arkenstone. 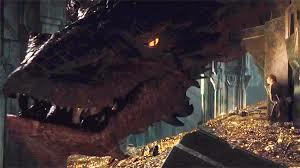 While Bilbo search for the Arkenstone, the dragon Smaug awakens and attacks the Dwarves. The movie ends with Smaug flying off to destroy Lake Town. This movie is better then the first Hobbit. In this movie, Bilbo Baggins actually changed from the scared hobbit from the first film to a brave and courageous companion. The fight scenes are cool, especially the river barrel escape battle. I laughed so hard when Bombur, the fat Dwarf, rolled and bounced around in the barrel and killed over twenty Orcs. The dragon Smaug, is one of my new favorite characters. He brings personality, wit, and a lot of fire breathing awesomeness. If you haven’t seen the first movie, watch it first before this film. While anyone can watch this as a stand alone movie, it is better to see the beginning to understand every part of the movie. How to Make New Year’s Resoultions…. (And stick to them)!